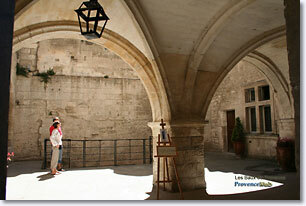 Departement of the Bouches du Rhone - Alpilles - Population : 428 inh. 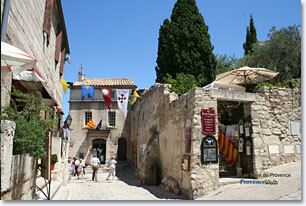 15 km from Arles via the D17 and 25 km from Avignon via the D27. 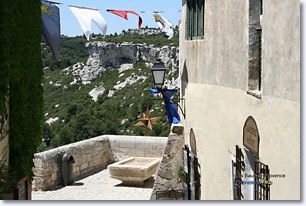 The village of the Baux de Provence is situated in the heart of the Alpilles son a rocky plateau 245m high. 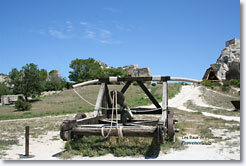 A brilliant view of Arles, the Camargue and the Alpilles can be seen from the look-out points! 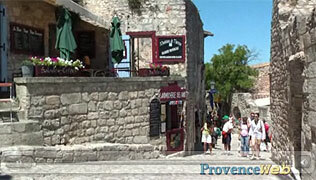 This immense and superb stone fortress is without doubt one of the "must-sees" on the Provencal tourist trail! 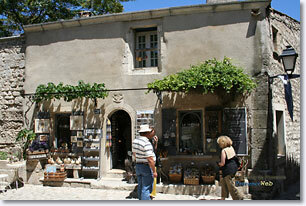 The village is officially classified and labelled as "one of the most beautiful villages in France". Its cultural heritage is exceptionally rich, with 22 architectural treasures classified as "Historic Monuments" (including the church, chateau, town-hall, hospital, chapels, houses, doorways... without counting items of furniture and a collection of paintings). 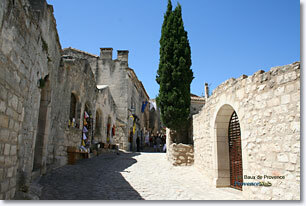 The village has been painstakingly restored and is now one of the most popular attractions in the region... (no matter what time of the year you visit, you will not be alone... Les Baux welcomes more than one-and-a-half-million tourists a year!). The 400 permanent residents must surely have the impression of living in a real-life museum! The village can only be visited by foot and you will admire the ancient houses that have been carefully restored, beautiful Renaissance façades and several magnificent "hôtels particuliers" which today serve as art galleries or museums. Food-lovers will soon discover that several restaurants at Les Baux boast international reputations... such quality dining is so hard to resist!!! 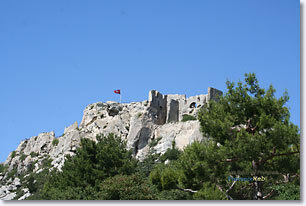 You can not miss the "Citadelle des Baux" at the summit of the village. Les Baux covers 7 hectares and visitors can discover the main ruins of its dramatic past: the keep, Saracen towers, chapel, old war weapons... the history of Provence unfolds before your eyes amongst the rocks and stones. 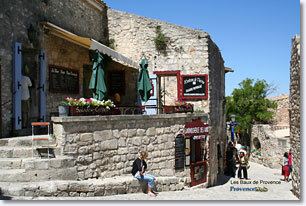 At the entrance of Les Baux, you can visit the History Museum which will explain village life and history through the centuries. Outside of the village, do not miss the permanent exhibition of the Cathédrale d'Image, an audio-visual extravaganza projected onto a 4.000m² rock-face disguised as a giant movie screen... impressive. .
16th century hôtel Jean De Brion (Fondation Louis Jou, engraver-typographer). 16th century Hôtel De Manville (Town hall and museum). 16th century Hôtel des Porcelet (Yves Brayer museum). 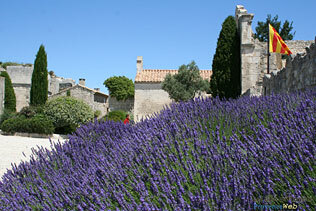 12th and 16th century church Saint Vincent..
Musée du Château (reconstruction of Baux from prehistoric times to today). Hiking, horse-riding and mountain biking. 9-hole golf course, tennis and swimming pool. 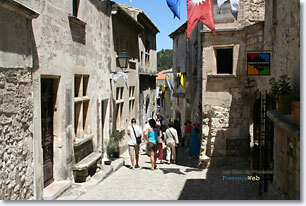 Numerous cultural exhibitions, arts and crafts and summer festivals. Maussane les Apilles (5km) and St Rémy de Provence (8km).